Boxer served in the majority during each of her five terms in the House. Her initial committee assignments were to Government Operations (98th–99th and 101st Congresses [1983–1987, 1989–1993]), Merchant Marine and Fisheries (98th Congress [1983–1985]), and, briefly, to Interior and Insular Affairs (1983) and to the Select Committee on Children, Youth, and Families (1983). She later served on Budget (99th–101st Congresses [1985–1991]), Armed Services (100th Congress [1987–1989]), and the Joint Committee on Deficit Reduction (1987). Boxer also became chairwoman of the Government Activities and Transportation Subcommittee of the Government Operations Committee. Boxer’s Senate service stretched over 12 Congresses, lasting from 1993 to 2017. She served in the majority for five Congresses and in the minority for six Congresses. The evenly divided 107th Congress (2001–2003), began under Republican control and ended with the Democrats in charge. Boxer’s initial Senate committee assignments included Banking, Housing and Urban Affairs (103rd–105th Congresses [1993–1999]), Budget (103rd–106th Congresses [1993–2001]), Environment and Public Works (103rd–114th Congresses [1993–2017]) and the Joint Economic Committee (103rd Congress [1993–1995]). She was later assigned to Appropriations (105th Congress [1997–1999]), Foreign Relations (106th–114th Congresses [1999–2017]), and Commerce, Science and Transportation (2001–2017). Boxer also served on the Special Committee to Investigate Whitewater Development Corporation and Related Matters (104th Congress [1995–1997]) and the Select Committee on Ethics (110th–114th Congresses [2007–2017]). Boxer was chairwoman of the Environment and Public Works Committee from 2007 to 2015. Over the course of her Senate career, Boxer had a number of other notable legislative achievements. She opened federal funds to states looking to “retrofit” bridges to better withstand earthquakes (P.L. 103–220), opened scientific research into organ transplants between HIV-positive patients (P.L. 113–51), improved mental health care for female veterans (P.L. 114–188), and reaffirmed and strengthened America’s strategic relationship with Israel (P.L. 113–296). 1“In Exit Interview, Sen. Barbara Boxer Considers Path Forward for Democrats,” 21 December 2016, “All Things Considered,” National Public Radio, http://www.npr.org/2016/12/21/506483910/in-exit-interview-sen-barbara-boxer-considers-path-forward-for-democrats (accessed 4 January 2017). 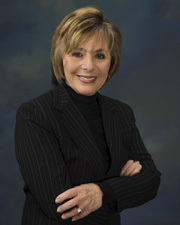 2“Barbara Boxer,” Biographical Directory of the United States Congress, 1774–Present, http://bioguide.congress.gov/scripts/biodisplay.pl?index=B000711; Congressional Directory, 98th Cong. (Washington, DC: Government Printing Office, 1983): 15; Almanac of American Politics, 2016 (Washington, DC: National Journal, 2015): 159. 3Erica Felci, “Barbara Boxer Finds Peace in Coachella Valley,” 17 August 2013, The Desert Sun (Palm Springs, CA): n.p. 4Almanac of American Politics, 2016: 159; Congressional Directory, 98th Cong. : 15. 5Bob Drogin, “Boxer’s Tenacity Cuts both Ways,” 21 October 2010, Los Angeles Times: n.p. 7House Committee on Small Business, Small Business Breakouts, 98th Cong., 1st sess., H. Rept. 528 (1983). 8Nathan Heller, “Barbara Boxer’s California,” 13 January 2015, The New Yorker, http://www.newyorker.com/news/news-desk/barbara-boxers-california (accessed 4 January 2017); Almanac of American Politics, 2016: 159. 12Mike Zapler, “Boxer an Aggressive, at Times Antagonistic, Presence in Courtly Senate,” 10 October 2010, Oakland Tribune: n.p. For more on the differences between the House and Senate, see Ross Baker, House and Senate, 4th ed. (New York: W. W. Norton, 2008). 15Almanac of American Politics, 2016: 161. See also Politics in America, 2012 (Washington, DC: CQ-Roll Call, Inc., 2011): 63; Almanac of American Politics, 2016: 161. 16Almanac of American Politics, 2016: 160; Politics in America, 2012: 63; Alex Gangitano, “Boxer’s Advice for Dealing with Trump: Look at Me and Inhofe,” 14 December 2016, Roll Call, http://www.rollcall.com/news/politics/boxers-advice-dealing-trump-look-inhofe (accessed 4 January 2017). See also Matthew Daly, “Senate’s Odd Couple: Boxer, Inhofe Forge Unlikely Alliance, 25 September 2016, St. Louis Post-Dispatch: A4. 17Jan Austin, ed., “Congress Overrides Veto, Enacts Bill Filled with District Water Projects,” CQ Almanac 2007, 63rd ed. (Washington, DC: Congressional Quarterly, 2008): ch. 18, 3–5, https://library.cqpress.com. 18“Both Chambers Advance Water Bills,” CQ Almanac 2013, 69th ed. (Washington, DC: Congressional Quarterly, 2014): ch. 7, 7–10, http://library.cqpress.com. 19Congress and the Nation 2005–2008 (Washington, DC: CQ Press, 2010): 495–497; Almanac of American Politics, 2016: 160; Jan Austin, ed., “Senate Republicans Sink Climate Bill,” CQ Almanac 2008, 64th ed. (Washington, DC: Congressional Quarterly, 2009): ch. 8, p. 6, http://library.cqpress.com. 20Jan Austin, ed., “House Reaches Milestone with Cap-and-Trade Climate Change Bill,” CQ Almanac 2009, 65th ed. (Washington, DC: CQ-Roll Call Group, 2010): ch. 10, p. 3–7, http://library.cqpress.com. 21Bettina Boxell, “Eastern Sierra Peak Will Be Named Mt. Andrea Lawrence,” 21 December 2012, Los Angeles Times, http://articles.latimes.com/2012/dec/21/science/la-sci-sn-mt-andrea-lawrence-20121221 (accessed 8 June 2017). 22Heller, “Barbara Boxer’s California”; Seema Mehta and Evan Halper, “A Life in Politics: The Fighter,” 9 January 2015, Los Angeles Times: AA1; Almanac of American Politics, 2016: 159. 23Alex Gangitano, “Take Five: Retiring Sen. Barbara Boxer,” 14 December 2016, Roll Call, http://www.rollcall.com/news/hoh/take-five-retiring-sen-barbara-boxer (accessed 4 January 2017). Boxer, Barbara. The Art of Tough: Fearlessly Facing Politics and Life. New York: Hachette Books, 2016. Boxer, Barbara, et al., Nine and Counting: The Women of the Senate. New York: Perennial, 2001. Boxer, Barbara. Strangers in the Senate: Politics and the New Revolution of Women in America. Washington, D.C.: National Press Books, 1994. "Barbara Boxer," in Women in Congress, 1917-2006. Prepared under the direction of the Committee on House Administration by the Office of History & Preservation, U.S. House of Representatives. Washington, D.C.: Government Printing Office, 2006. ___, with Mary-Rose Hayes. A Time to Run: A Novel. San Francisco: Chronicle Books, 2005. ___, with Mary-Rose Hayes. Blind Trust: A Novel. San Francisco: Chronicle Books, 2009.